Noticed it before, but today, on deep-diving into the SA 104 image, I looked closely again at the area around the star J124345.2-002116. To me it looked like there was a fuzzy. 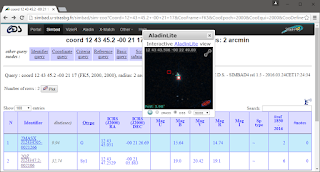 Tried plate-solving the image on Astrometry.net (link). It did not go very deep. Ah. What's that green line? The constellation line?! 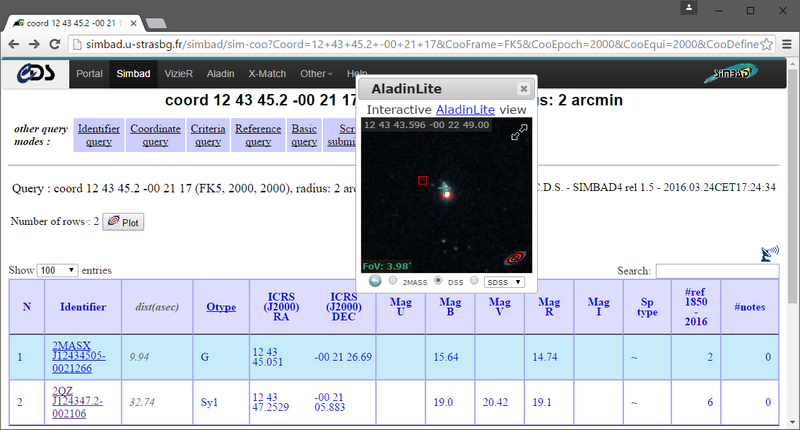 Tried Aladin Lite, the online (limited) tool. 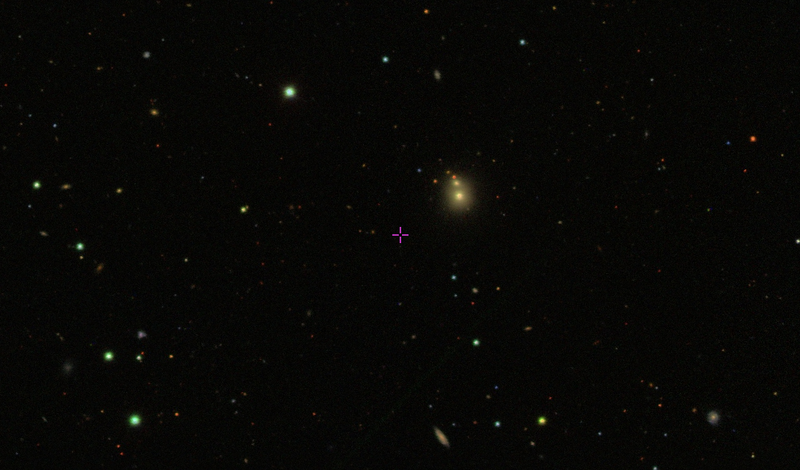 When I switched to SDSS9 mode, it popped (link). Went into Simbad and punched up the location (link). 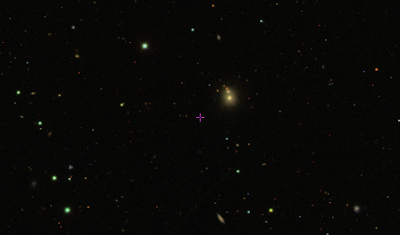 Interesting: two objects noted within a 2 arcmin area. The first was a G class star at mag 15.6. But the second one... Very interesting. Much further away, curious name, curious type... When I clicked the link, I landed at a page describing a Seyfert 1 Galaxy. Ah ha. Took a quick look at the Astrometrica web site but couldn't tell if it might work. Didn't feel like downloading more software... Wanted more info so I turned to Greg. He did some digging and shared a screen snapshot. 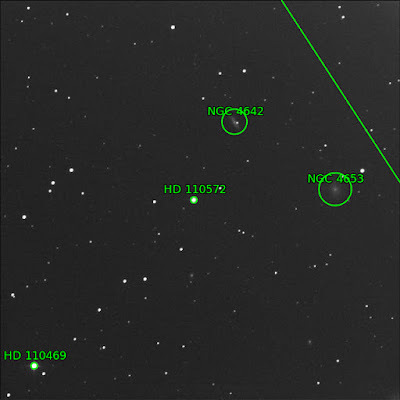 He said it was LEDA 3111069, Hubble type E, nearly face on. I looked it up in HyperLeda. Confirmed.